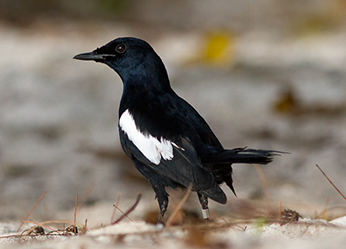 WVI is urgently investigating why the number of Seychelles magpie robins is now dropping dramatically. 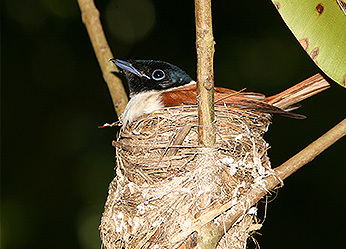 WVI provides regular hands-on training, advice and equipment to local conservation societies in the Seychelles who are battling to save unique local species, like the Seychelles magpie robin, Seychelles paradise flycatcher and the sheath tailed bat. There are no specialist wildlife vets on the islands, so this support is vital. Like Mauritius, which was once home to the dodo, the Seychelle Islands were radically affected by the arrival of humans, and the predators they brought with them. Luckily many bird and reptile species unique to the Seychelles survived, though often only as a small population on one of the islands. Their future is far from certain. Don’t let the unique wildlife of the Indian Ocean islands go the way of the dodo. The unique wildlife of the Seychelles is constantly threatened by disease, habitat loss and illegal trade. Extinction is a real risk. The Seychelles are the oldest oceanic islands on Earth. They became detached from the main landmass before modern land mammals had evolved. Since no land mammals were found naturally on the islands, it was a chance for a wonderful variety of bird and reptile species to develop. You can still find some of the world’s rarest animals here. They include the Seychelles scops-owl, the Seychelles white-eye tiger chameleon, Brauer’s burrowing skink and the Seychelles sheath-tailed bat. Several, including the Seychelles paradise flycatcher and magpie robin, as well as the islands’ Sooglossidae frogs, have only been saved from extinction thanks to the truly dedicated work of local conservationists in recent years. However, although a huge amount of work and effort has gone into managing island reserves and helping these species recover, they are still at serious risk of extinction. The threat is not only from disease, which can decimate small populations, but also from illegal trade and continuing loss of habitat. Land is always in demand for hotel and resort development. 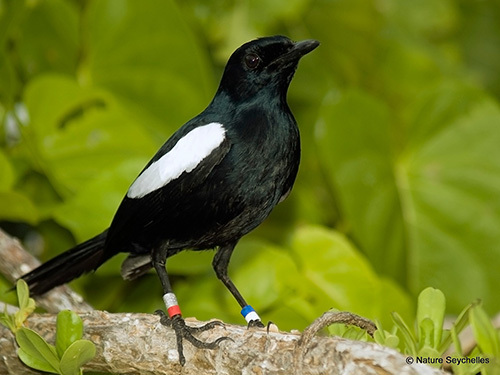 The Seychelles magpie robin was a conservation success story. Just a few decades ago there were only a handful of breeding adults left. But thanks to truly dedicated local conservation efforts, starting in the 1990s, their numbers have slowly increased to around 200, spread across five islands. A vital part of helping a bird like the magpie robin to survive involves moving some birds to a new area in order to help them re-colonise territory where they were found in the past. This is called translocation. But translocation brings with it the threat of disease. The birds might carry disease with them to the new area, or be affected by disease already there. Detecting and controlling disease in these situations is as vital to the success of the programme as habitat restoration. But, although there are a number of excellent and well-established local conservation organisations, Seychellois vets do not normally receive any training in wildlife medicine. This is where WVI has been helping. And it’s not a moment too soon. On Aride Island, numbers of magpie robins suddenly plummeted between 2013 and 2014, dropping from 24 to 12 birds. WVI was able to make an emergency trip to help assess the problem early in 2015, followed by a second visit towards the end of the year. Work is still going on to fully identify the disease responsible and we are currently waiting for virologists’ reports from Germany. When numbers are small and the population is fragmented, an outbreak of infectious disease like this could undo all the good work of the last few decades almost overnight. WVI avian experts are in constant communication with local conservation professionals, giving them advice and arranging for samples and chicks to be sent overseas for testing and analysis. Having to resort to foreign expertise, usually from Europe or South Africa is expensive, slow and inefficient. Local vets and wildlife professionals urgently need training and facilities that will allow them to act quickly to control any outbreaks of disease without having to rely on outside help. This is where the training and equipment WVI is able to provide comes in. WVI vet and avian expert, Johanna Storm, makes regular visits to the Seychelles to carry out research as well as training for staff working with species conservation: Nature Seychelles, Island Conservation Society, Seychelles Island Foundation, and Green Islands Foundation. There are no wildlife vets on the islands. The few government vets know little about wildlife medicine. Thanks to the Marine Conservation Society Seychelles we have been able to equip a clinic with an x-ray and anaesthesia machine and train Seychellois vets how to use them alongside MCSS staff. Empowering local vets and field staff so they can better understand disease and how to combat it effectively is vital to the survival of many of the endangered species. In the long run, conservation medicine in the Seychelles needs to become self-sufficient. That would result in benefits for everyone: the vulnerable populations of endangered species, the government veterinary agency which would be stronger and more effective as a result, the economy and tourism. And all conservation professionals would be much more aware of the role disease can play in extinction. We are currently waiting for the results of the tests on magpie robins, as we try to help our local partners understand and control the illness which has been affecting them on Aride Island. We hope to send out a veterinary expert again as soon as we have more information. We send an expert at least once a year to continue training local vets and conservation practitioners. This involves both theoretical and practical training in wildlife medicine, including how to handle and sample the animals, carry out blood and other biochemical analyses, and the use of more advanced anaesthetic equipment in order to help with diagnosis. 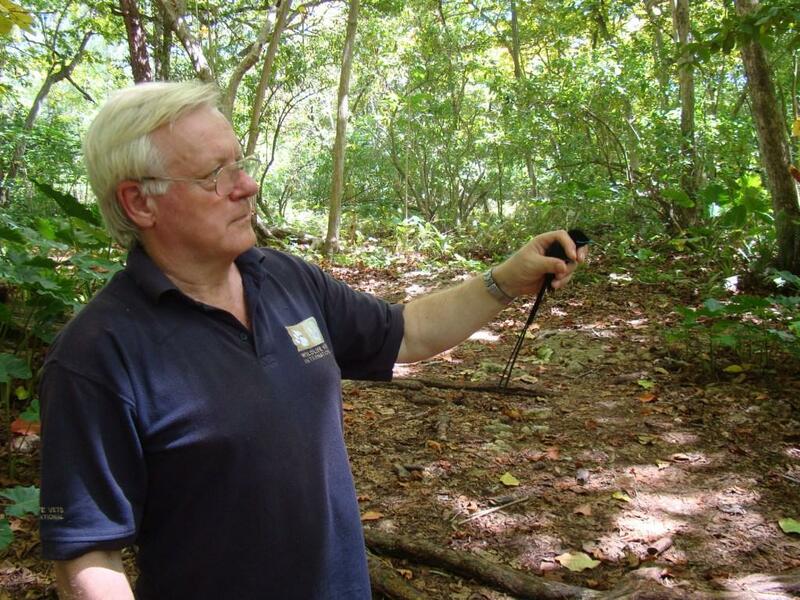 In 2008 Andrew provided disease surveillance advice and oversaw the health screening of 20 Seychelles flycatchers that were reintroduced to Denis Island to create a second population. 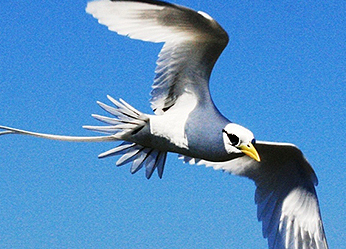 In 2015 the population is actively breeding and numbered at least 65 birds.